Building Profiles stock several different types of strip ventilator delivering various airflow capabilities which depends on model and size. 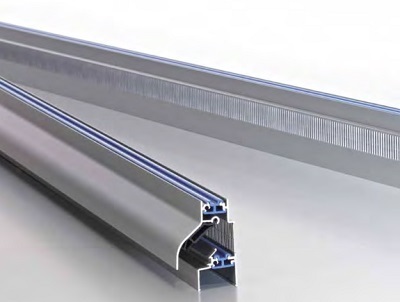 Strip ventilators are available in anodised or powder coated aluminium and PVCU. Standard sized window ventilators and outside grilles can be recessed ‘into’ or surface fitted ‘onto’ the window profile dependent on type. We also fabricate various different ranges of louvres which includes custom made ‘over glaze’ and ‘over frame’ extruded aluminium types that are manufactured to your dimensions. Most of our range are Duco products, Europe’s leading ventilator specialist, supplied direct to us to fabricate ventilators to your size specification. Image shown is a Natural Ventilation system.